A gated community is a housing estate containing controlled entrances for pedestrians, bicycles, and cars. 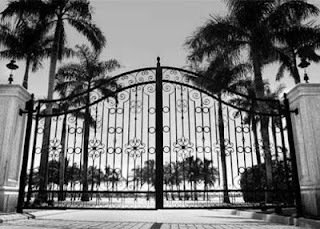 Gated communities are often characterized by walls and fences. 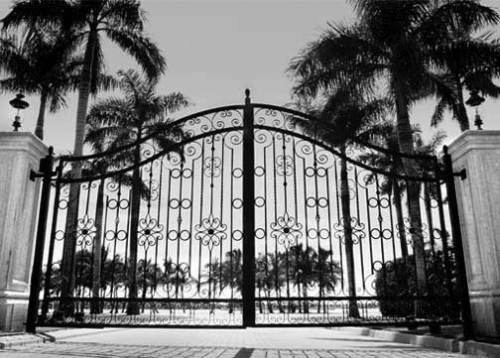 Some gated communities are staffed by private security guards and are often home to high-value properties. Several gated communities are secure enough to resemble fortresses and are intended as such. Gated communities usually consist of small residential streets and include various shared amenities. For smaller communities this may be only a park or other common area. For larger communities, it may be possible for residents to stay within the community for most day-to-day activities. Some gated communities are set up as retirement villages.